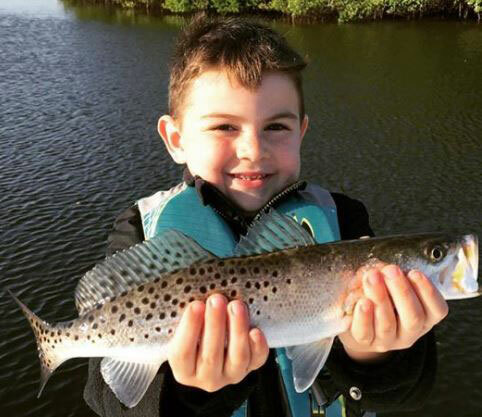 Jackson Semeyn is one happy youngster after catching this beautiful Speckled Trout near Tampa Bay, Florida, while fishing with his charter captain dad (Jason), sales manager for iTrekkers.com charter fishing group. A lot of people are looking for these kind of gluten-free, sugar-free recipes today as learn more about how to stay healthy, and after two of my grandchildren were diagnosed with Lyme disease, it was necessary to change their diets to control negative reactions from their medications. 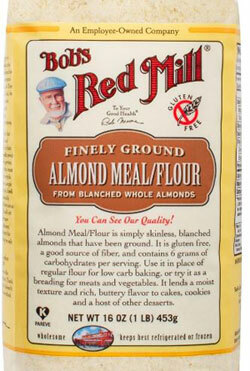 We used Bob’s Red Mill Almond Meal because it is ground from whole, blanched sweet almonds and is gluten free. Almonds are one of the healthy nuts providing manganese, vitamin E and protein, and is low on carbs. 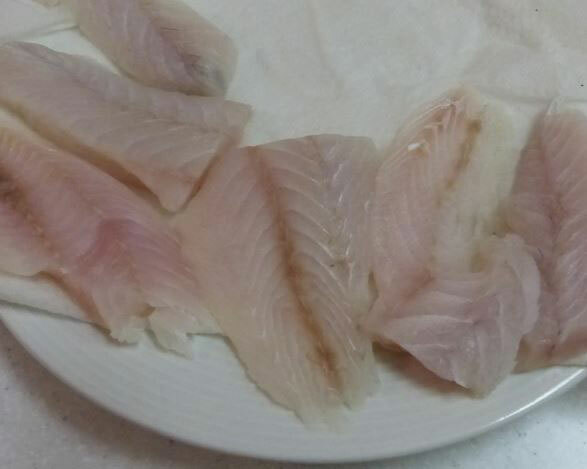 Thoroughly rinse the fish, check for bone-free fillets, cut them into a size that will conveniently fit your fry pan. Then pat dry with a paper towel. In another small bowl, place an amount of almond flour. 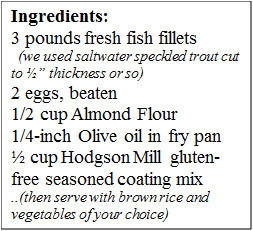 Place the fish into flour bowl and coat both sides of the fish. 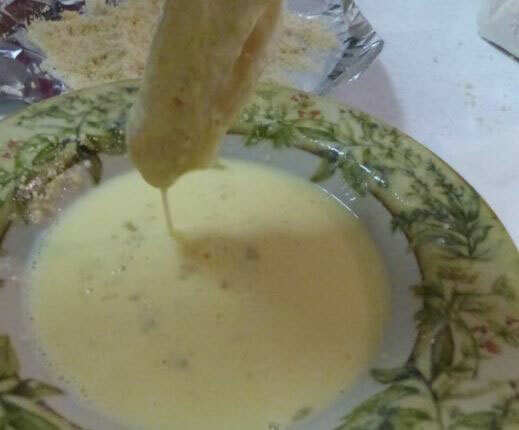 Take the flour coated fish and dip through the beaten egg. 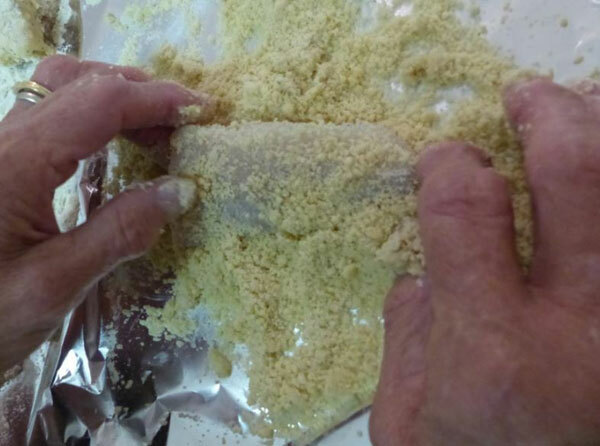 Place the egg-coated fish and roll into the Hodgson Mill gluten free seasoned coating mix. 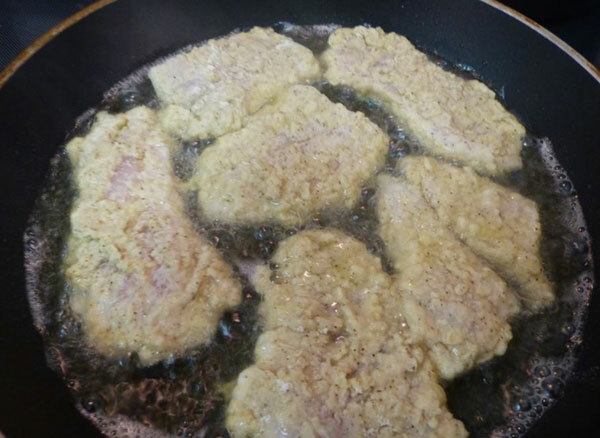 Then place the fish into the heated fry pan with the olive oil, fry on one side for about 3-minutes, then turn and fry the other side in the same manner. Place the hot fish on a platter coated with paper towels to drain. Serve with cooked brown rice portions and fresh-cooked vegetables of your choice. We like portions of one or two of these at the same meal: broccoli, peas, green beans, asparagus, celery or a lettuce salad that includes cucumber and spinach. Scrumptious, delicious, healthy and meets all the new rules! Enjoy!